Bull Island has been home to zebra, buffalo, and multimillionaires, now it's home to great paddling. 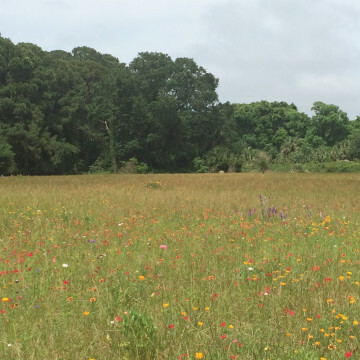 The untold story of how the Hilton Head Island Land Trust has fought to preserve Hilton Head's green spaces for close to three decades. 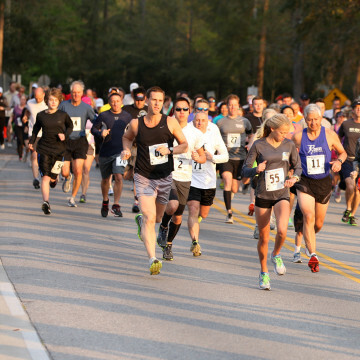 The Outside Foundation wants you to help Hilton Head. 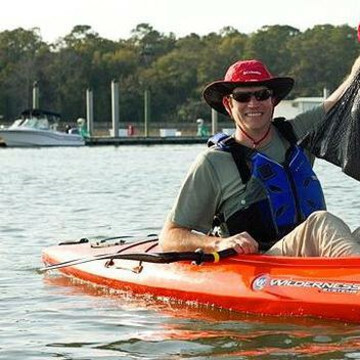 Wet your paddle and do good for the environment at one of their waterway cleanup days. Forget about fighting for your spot in the sand. 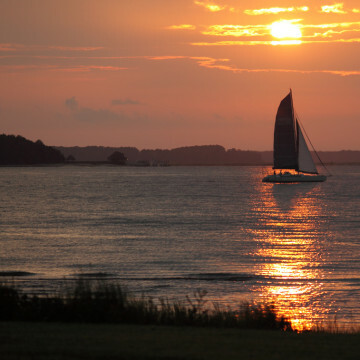 Head to Hilton Head in the off-season for a relaxed weekend of fresh air adventures. For those who think getting outside is the best gift of all, here are five sweet activities to top your Hilton Head Island gift guide. The dock at Squire Pope prohibits motorized vehicles of any kind making it extremely kayak friendly. It is set back in a small alcove of Skull Creek which offers calm kayaking away from the hazards of larger motorized marine vessels. 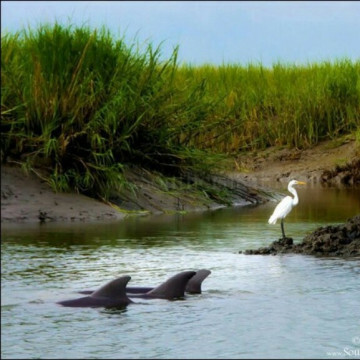 Broad Creek is great for anyone who wants to explore Hilton Head’s salt water marshes and tidal creeks. 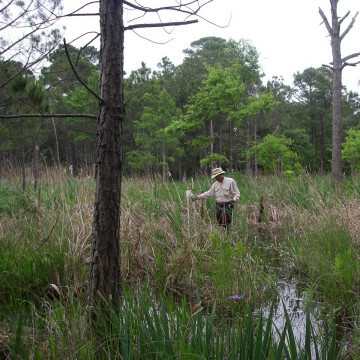 The wildlife is abundant, with a chance to see a number of birds, fish, or the occasional marsh mink. On a stand up paddleboard you can rise above the reeds and truly take in the magnitude of your surroundings. From your birds eye view you will also have an advantage navigating the waterways. 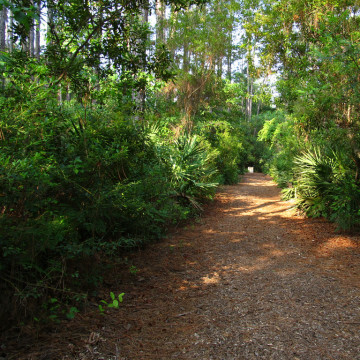 The Audubon Newhall Preserve is a 50 acre nature preserve off of Palmetto Bay Road that is maintained by the Hilton Head Audubon Society. It has a series of interconnected trails that add up to about a mile total. 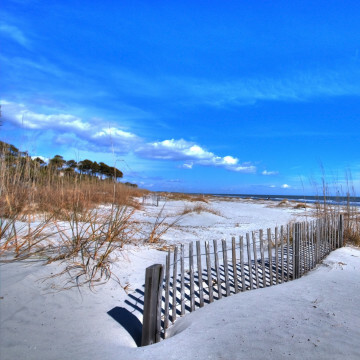 Burkes Beach is an islander’s favorite, being a good place to avoid the “packed sardine” feeling of more popular beaches like Coligny beach. It also plays host to “The Folly” where at high tide ocean water flows into a salt water marsh creating a temporary creek that is ripe for exploration. Discover amazing beaches, alligator-filled trails, historic lighthouses, and great paddling on these Lowcountry day trips near Hilton Head. 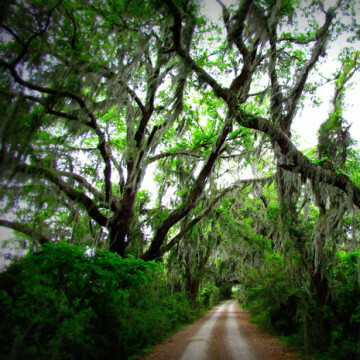 Avoid the crowds on Hilton Head Island by checking out one of these private hikes, peaceful rides, or serene paddles. 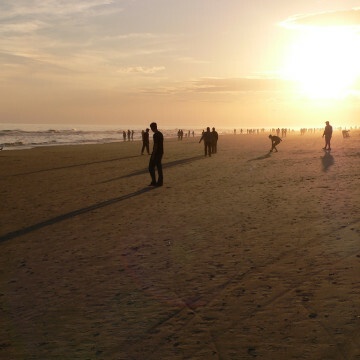 Hilton Head beaches are plentiful, but each are unique. Make sure you choose the right one for you. 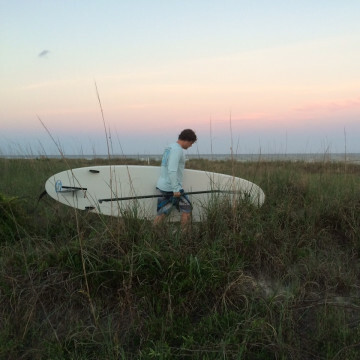 Stand-up paddling in Hilton Head is a no-brainer. With multiple large creeks, flatwater options, and rolling waves, there's something for all. In April of 2000, after moving to Hilton Head, Alfred Olivetti opened a small shop called Go Tri Sports. Since then, the tri scene on the island has never been the same. 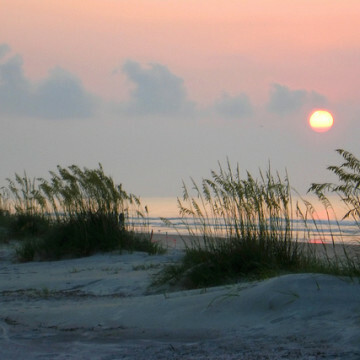 There are plenty of hikes on Hilton Head that are great for the whole family. Here are three of the best to get your family outside. One of the best ways to explore Hilton Head's natural beauty, its history, and its inhabitants—a trip to the Coastal Discovery Museum is a must. 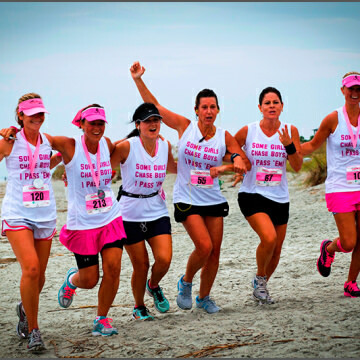 Join a sea of walkers and runners dressed in pink at Hilton Head's 3-day event to beat breast cancer. 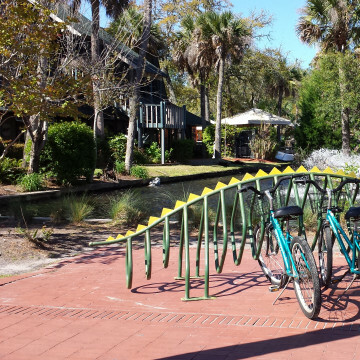 Mild temperatures and fewer visitors make for autumn biking bliss on Hilton Head Island. We have three scenic routes to get you started. Legendary surfer, Byron Sewell's summer camp in Hilton Head offers a new generation of surfers a place to find their passion. 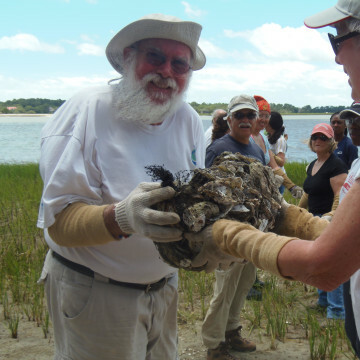 SCORE oyster reefs provide food, healthy marine ecosystems, and clean water for Hilton Head and the coastal Lowcountry of South Carolina. From the alligator-filled marshes of Sea Pines, to the dolphin-rich waters of Mitchellville Beach, here's where to see wildlife on Hilton Head Island. 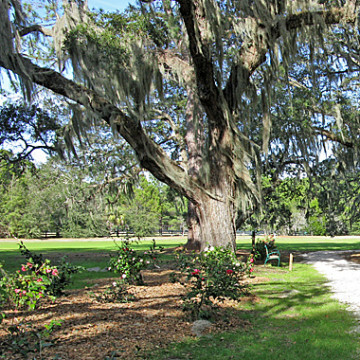 'Tis the season, oyster roast season in Hilton Head, that is! 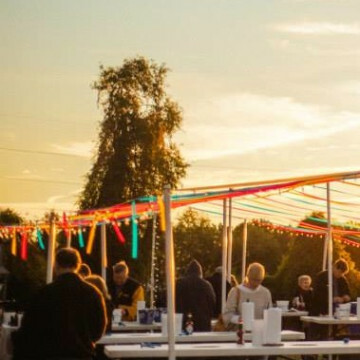 Find out how to partake in the age old joy of the Lowcountry oyster roast.